First of all, I have been ill for a very long period, so excuse me for not updating our website frequent enough. 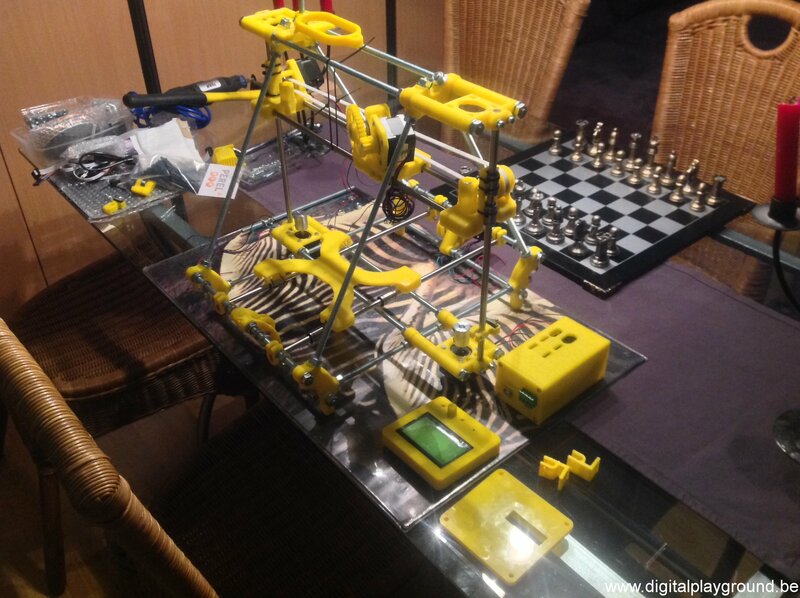 I also started building a second 3D printer. 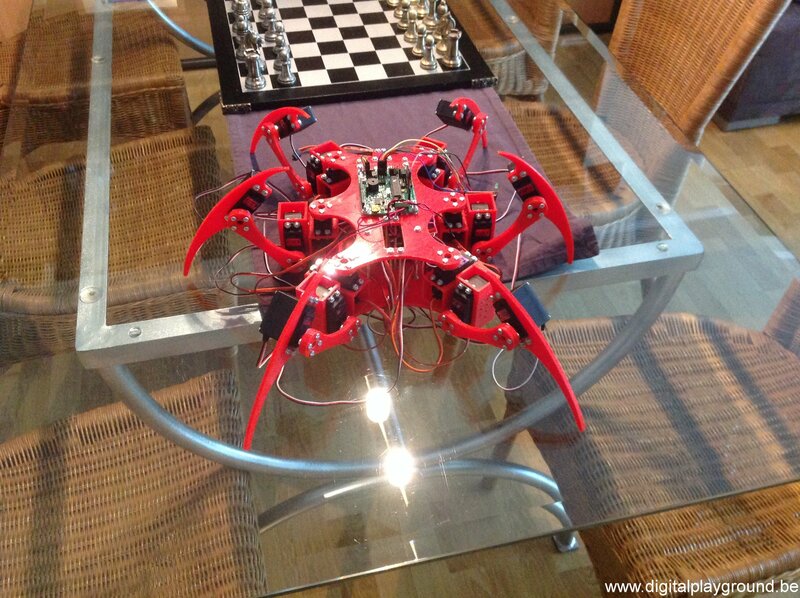 The Ecksbot from EckerTech (http://www.eckertech.com) is an opensource 3D printer. – I only wanted one motor for the Z-axis, and connected both Z-rods with a T2.5 belt. 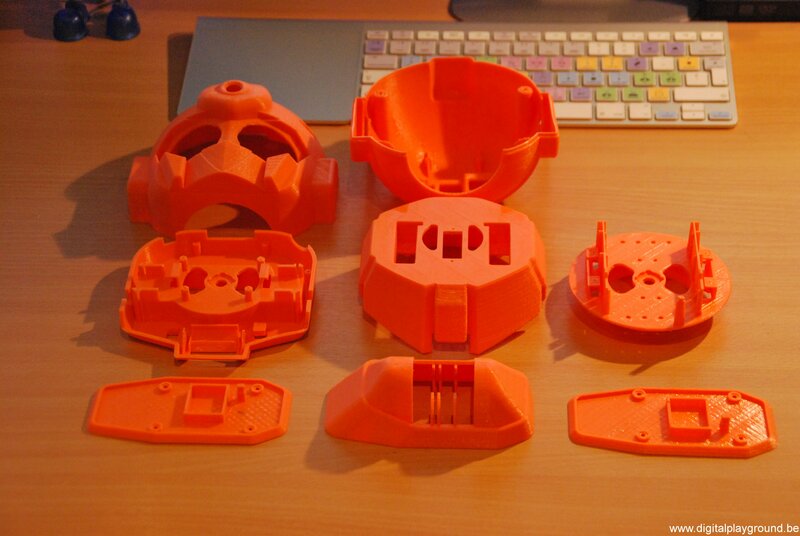 – I replaced all printed bearing parts, with “real” iron bearing parts. 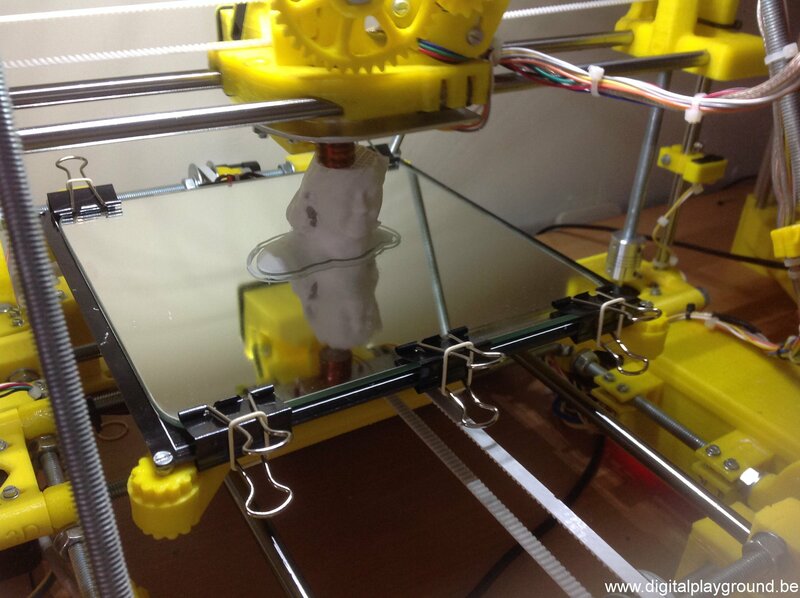 – I created another carriage, so I could mount a standard heatbed with adjustment screws. 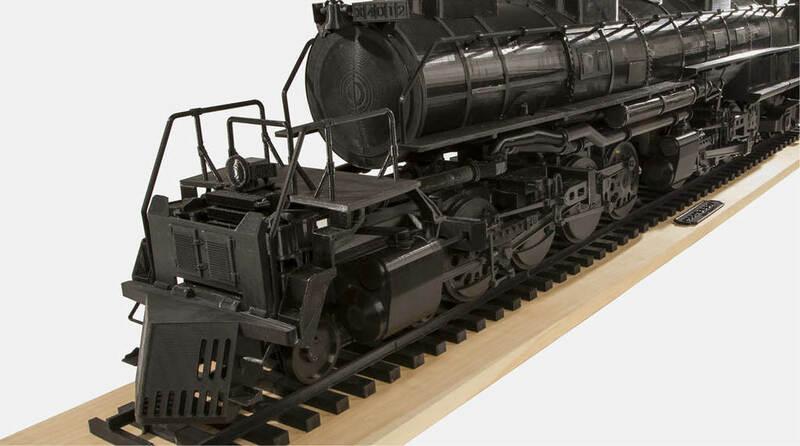 While browsing Thingiverse (http://www.thingiverse.com) , I stumbled upon STL-files for a “bigboy” locomotive. (an American steam locomotive, with 24 wheels and 4 cylinders, the biggest ever !) 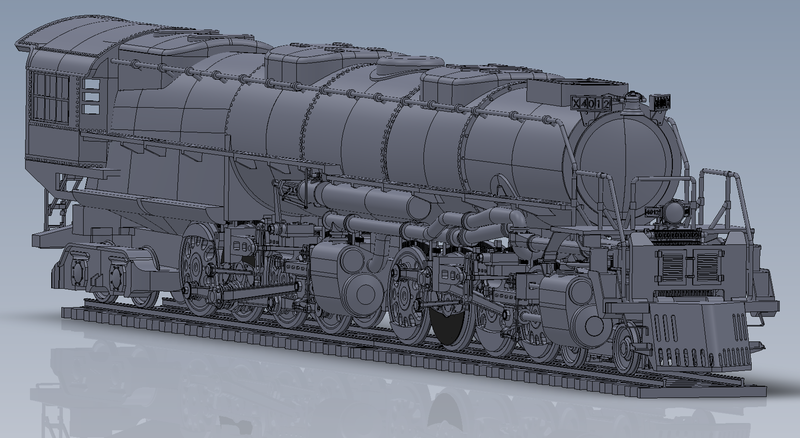 Once printed, this locomotive will be 6″ (about 1m80) long ! So stay tuned 🙂 Pictures and movies will probably be online before the end of april. 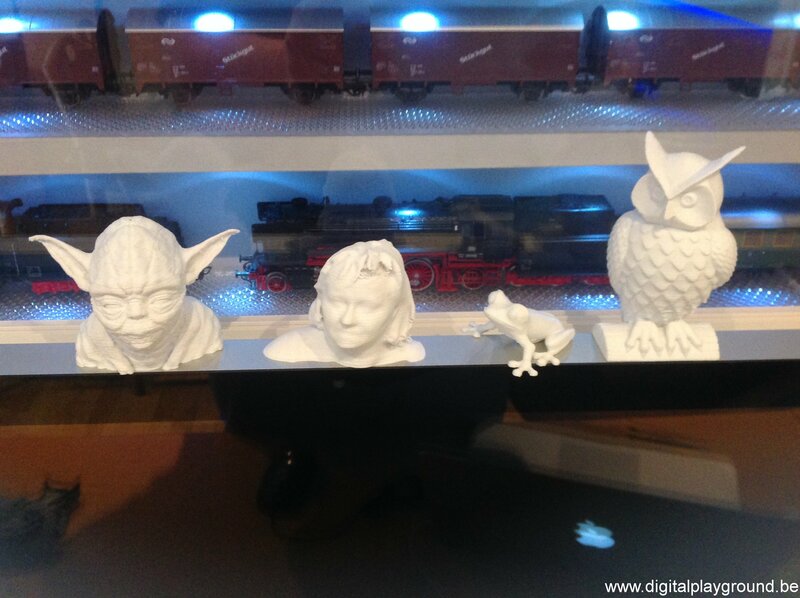 I’m impressed by the print-quality, accuracy and print-speed ! 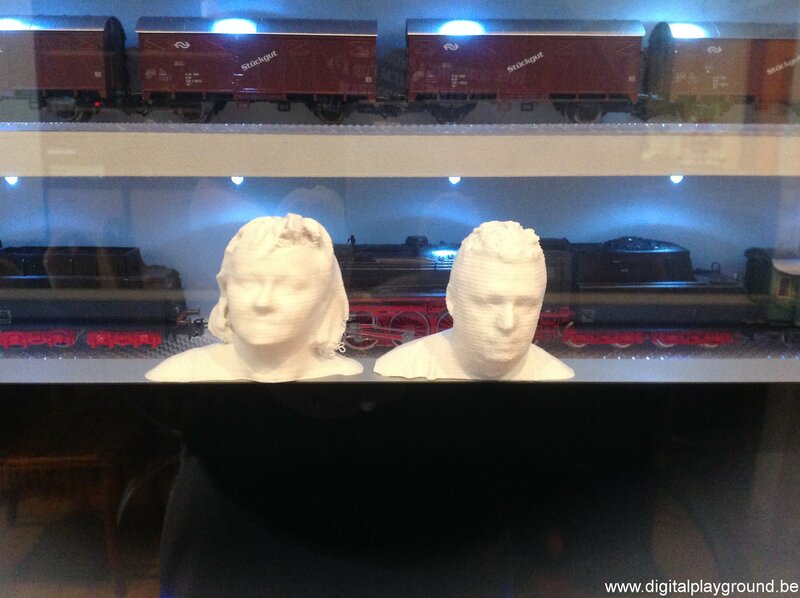 There was a company, named K85, that scanned people in 3D. They did scan Christel, but until today, we still did not receive any emails or files. During my first test-runs on the printer, I also made a small movie, to proof that “it’s alive” 🙂 Note that the speed during this first test-run, is very low, and the printer was also not yet calibrated ! Also, it was directly connected to my MacBook, running repetier. 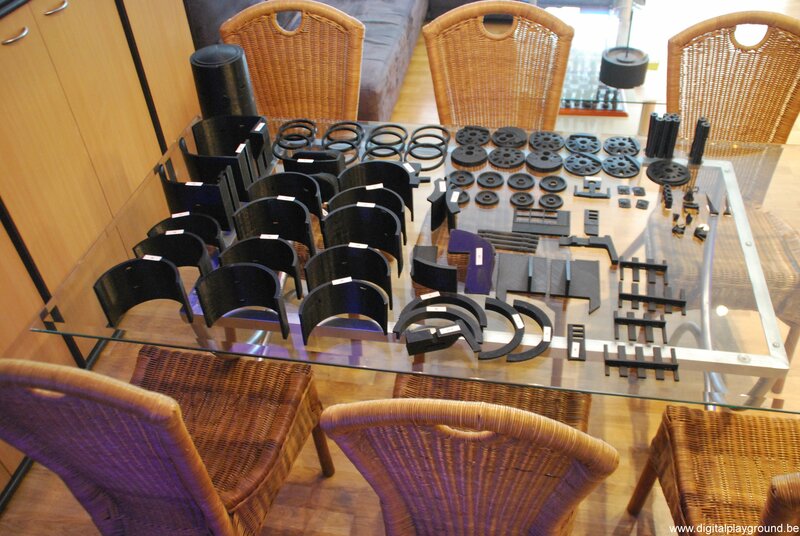 – Today, I did take a picture of all parts already printed for the BigBoy locomotive. 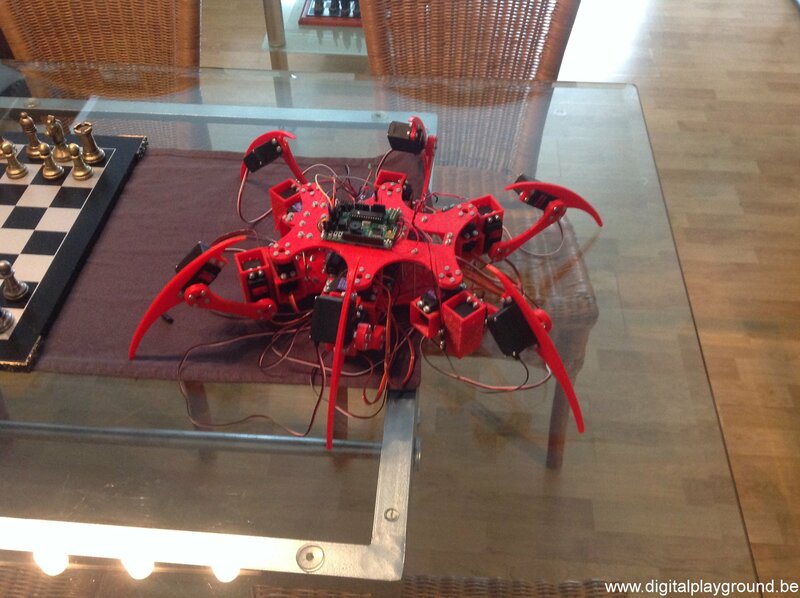 – I also did take 2 pictures of the current state of the hexapod, I hope to do some wiring next weekend. 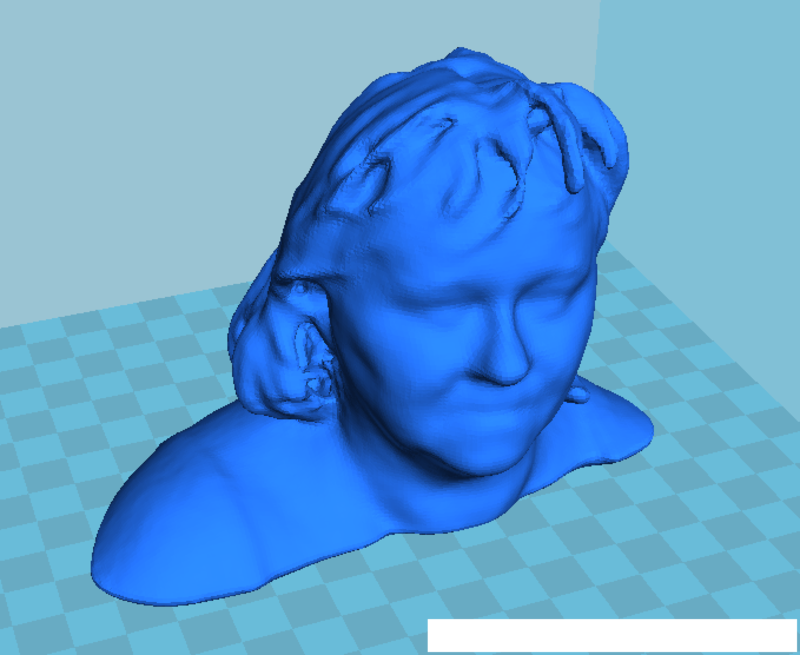 – Christel scanned me with the kinect sensor / skanect software, and we printed “me” ! 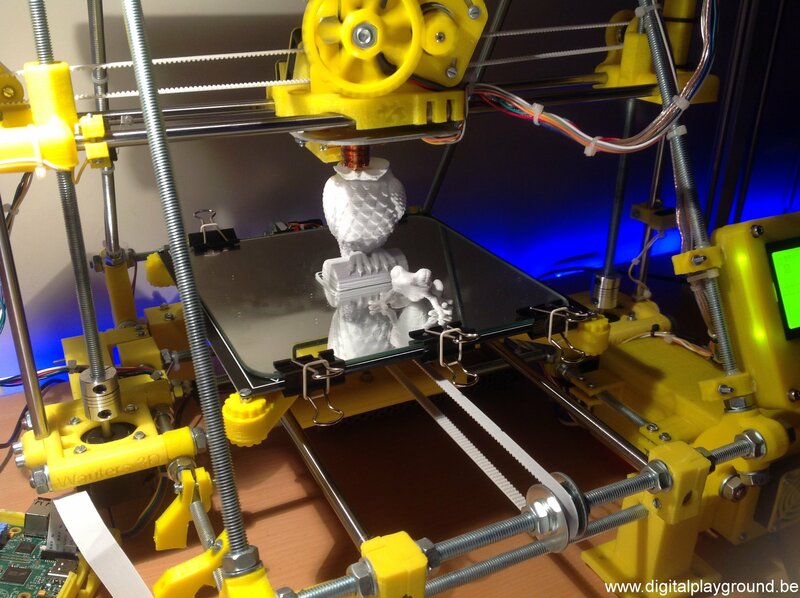 Click here to see a short movie of my 3D printed wobbler engine. Click here to see a short movie of the first run of the Ecksbot.